New uniforms, new shoes, new books, new backpacks... yes, the start of a new school year is a new beginning with new opportunities. But for many kids, it's filled with uncertainty and even dread. Will they find friends, will the teacher be nice, will they handle the new school work? It's the perfect opportunity to come alongside these apprehensive kids, or even the excited ones, and remind them that, no matter what happens at school, God is with them every step of the way. He won't leave them.. He won't forget them. Do you present a special Back-to-School program at this time of year? 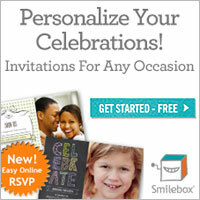 Even if you continue with your normal program, highlight this important milestone in the lives of your church families. How about decorating an area of the church foyer or your children's ministry area with a Back-to-School theme? You might also consider handing out some stationery sets for the kids and include some bookmarks etc with the Bible verse you want them to remember. You can find more Back-to-School ideashere. If you're looking for a powerpoint slide to highlight and promote your Back-to-School segment, then you an download the free, editable powerpoint slide file below.